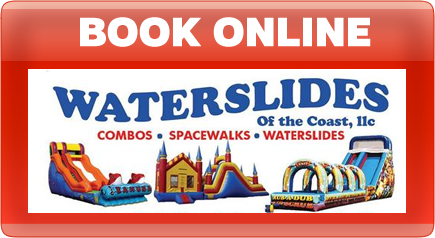 Our water slides are great for parties, birthdays, special events and family gatherings. Make sure you have an amazing experience with one of our water slides, inflatable jumps, princess castles, concessions and more.We are located in Slidell and the Northshore area. We are certified and licensed professionals trained in setting up your special event. Let us know what we can do for you. We would love to be apart of your special day! You can include a bouncer and concessions in your package. We deliver, setup and break down your event and help with any accommodations possible. We are fully licensed and insured for your protection and plan for every event with safety in mind. We have trained professionals who understand our systems and equipment. Call us today to discuss your party package and let us give your child the experience of a lifetime.